During my last visit to New Orleans I traveled with some of my best friends from college. It just so happened to be Jackie’s birthday so we decided to celebrate with the best meal of the day, brunch. Before that I had a coffee meeting with Andi of Oui We Girl. All of my planning made me realize I may need to reconsider my identity as not-a-breakfast-person, because as it turns out, I love restaurants with a good breakfast + brunch menu. If you find yourself in New Orleans, here is my tried and true selection. 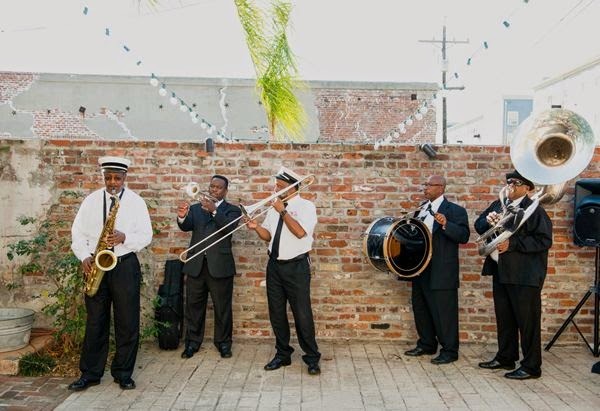 The classic New Orleans brunch of course comes with a side of music. These restaurants are known for their iconic Sunday jazz brunches so reserve a table in advance if you can. When it comes to celebrating a special occasion, or just making any old day feel special, this is the place to do it. Commander’s Palace boasts an original Jazz brunch and patio dining on the weekend. And if breakfast isn’t your thing, convince your party to hold out for the lunch menu offered during the week which conveniently boasts 25 cent martinis. And don’t mind the three martini limit. In my experience they make the drinks strong. To enjoy the historic atmosphere of the old homes on St. Charles hop on the streetcar and head over to the Columns Hotel. For $40 you get a four-course brunch and a beverage. This beautiful venue is popular for happy hour and events as well. Antoine’s is a well-known and popular spot for it’s jazz brunch. You have the option to choose your own dishes or select a three-course brunch for $33. For a fancy, fun start to your Sunday in the Quarter, this is a classic choice. Another option nearby, is the pricier and famed Arnaud’s jazz brunch located right off Bourbon street. The three-course brunch starts at $29 but there is also an array of entrees to choose from a la carte. This restaurant is conveniently located in the French Quarter for visitors but also frequented by locals. Famed dishes here include gumbo ya ya and bread pudding. You will also find a healthy dose of Saints pride during football season. If you want more, there’s a whole list of jazz brunches offered on Sunday here. Gather up your friends and cross your fingers that the wait won’t be (too) long. If you want to be the hero select a place with no wait or one that takes reservations. Everyone knows the best cure for hangovers is a late brunch, a bloody mary and belly-aching laughs about what happened last night at F&M’s. If you think you’ve got what it takes set up your own eatery, then you should extensively consider the costs involved. For that reason, it may be useful to visit a site like Simply Switch. If you visit Slim Goodies try to snag a table out back and don’t mind the chickens running free. Once you are seated in this backyard oasis you’ll quickly forget that Magazine street is bustling out front and may find yourself passing the entire day away. Be sure to bring your own champagne for mimosas and cash to pay the bill. If you head to this Uptown location, prepare to get in line behind a rush of Tulane and Loyola students. No matter, I have always found this spot to be beyond satisfying and fairly quick despite the rush. And to make it even better, they serve breakfast daily until 5 pm. Some may say brunch without alcohol isn’t brunch but the beverages here are still delicious. Be sure to order a fresh-pressed juice to sip on while your food is made. Satsuma also offers another location in the Bywater. When this corner establishment was formerly known as Gott’s Gourmet it was a frequent stop for my friends. It’s an easy location and almost always a relatively short wait. Brunch is offered from 8 am to noon on Saturdays and from 8 am to 3 pm on Sundays. The menu is easy to mix and match if you like an array of choices and the breakfast burrito is always delicious. If breakfast isn’t what you’re going for, give the Gott salad or the mac and cheese a try. This is a go-to brunch spot for college students and locals, serving up latin-inspired and veg-friendly breakfast favorites. There’s also a location further down Magazine in the Lower Garden District. Be sure to bring some cash to pay the bill at this place. The Ruby Slipper boasts three locations so no matter where you are in the city, it’s a great option and local favorite. They offer up all the standard breakfast fare but there are also so many good specialties you might have a hard time choosing. I was sold on this place the moment I learned about their garlic feta fries, but there’s a lot more to love. 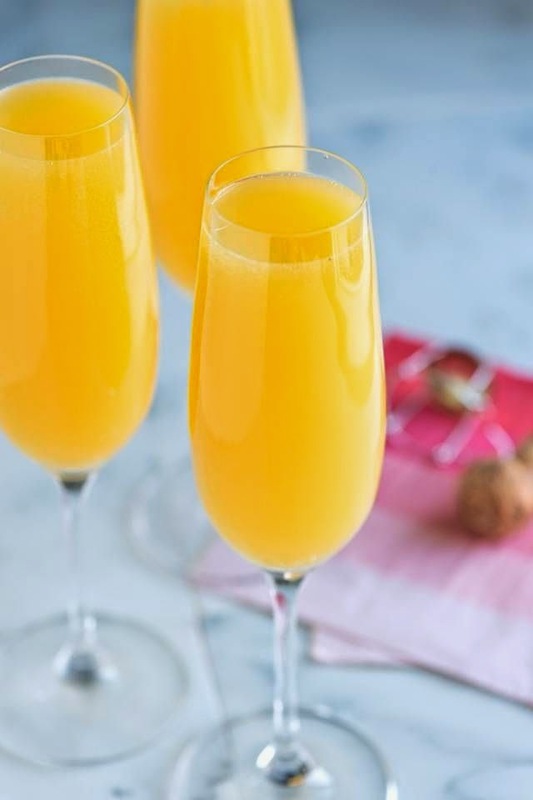 Katie’s offer $15 bottomless mimosas, sangria and bloody marys every Sunday from 9am to 3 pm to keep everyone happy, and the menu is diverse offering breakfast staples and lunch time favorites. This spot has been on my list for so long and I have somehow not managed to make it there yet. I have received so many recommendations for it though. Atchafalaya is particularly popular for it’s live music and bloody mary bar featured during Saturday and Sunday brunch. This quiet little brunch spot is located in the Marigny, just a short walk from the Quarter. You can sit outside and watch the slower side of life in New Orleans as locals meander by every now and then. The menu may look familiar if you’ve already stopped off at Slim Goodies because the two share an owner, but this spot accepts credit and serves alcohol. Need some more ideas? Here is a list of spots locals recommend for brunch and here are the booziest brunch deals in Nola. Everything moves a bit slower in Nola so you won’t catch locals taking this option to go. 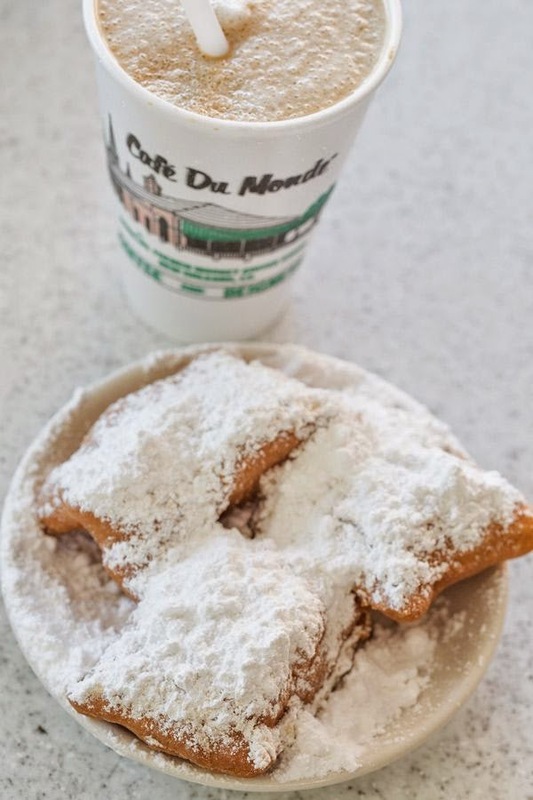 After all, New Orleans is home of Cafe du Monde, which provides full table service even though the menu only consists of coffee and beignets. This famous cafe is well worth the wait for many. There are separate lines for window (to go) and table service. Don’t forget to walk behind the cafe and peak in the window for a view of the beignets being made. A quieter option on Royal St (and my favorite) with a beautiful shaded courtyard and adorable little shop. You’ve got to try beignets at least once while in New Orleans so if you don’t wait in line at Cafe du Monde come here. This adorable little coffee shop is an extension of Cafe Amelie. Stop in the for a quick coffee or grab fresh prepared food, like sandwiches and dessert, ready made. The prices are a bit high however, obviously reflective of the shop’s location. Nestled in along the galleries and shops of Royal street, this cafe is easy to miss. Perhaps that’s why it doesn’t boast the popularity or crowds of it’s parent restaurant Antoine’s. Grab a coffee and fresh baked pastry before you sit down to enjoy a quiet moment. You can also get one of their reuseable Stadium Cups and get some money off your drink order the next time they get a drink! Just take a look at the raving reviews on Yelp and you’ll understand why this espresso bar is a favorite to everyone who stops by. This coffee shop occupies a space that was once a bank, and while you can certainly tell, it feels like the perfect spot to grab a coffee. The ceilings are impressively high and I happily attended a few meetings here while living Uptown. When you walk in, expect to be immediately taken by the long display of fresh baked sweets. From cookies to salted caramel filled chocolates, you will have your work cut out for you when you reach the register; I always struggle to decide. Select a few to sample with a coffee or order a sandwich before sitting down among the locals who have decided to make this spot their office for the day. If a bagel is what you desire, look no further than this Jewish-Italian market. Walking in can be a bit overwhelming, with brimming shelves and humming fridges covering every square inch of wall space. And with the line of customers snaking through the tables crowded with locals devouring their sandwiches, you are bound to get in someone’s way at least once. Just push up to the register, order one of the million sandwiches on offer and wait for your name to be shouted (and inevitably lost to the noise of the place). Coffee is for sale at a separate register by the front door. This Uptown coffee shop was my first stop every day when I first moved to Nola. It’s a great place to take a break or post up to get some work done with a delicious breakfast and coffee. Don’t go looking for Starbucks while you visit New Orleans. Do like the locals and grab a cup of joe from PJ’s or CC’s, the local coffee chains. On any given day you can find dozens of college kids, teachers and professionals posting up in the place like it’s their office (maybe it is). So what did I go with? Deciding to throw all caution to the wind, we opted out of the usual and into the infamous drag brunch at the Country Club. It’s a bit off the beaten path, but a short cab ride will deliver you from the French Quarter into the Bywater. The food was so-so but the drag show definitely served up the entertainment with a side of festivities that we were hoping for.As for coffee, Andi and I met for a quiet cup in Antoine’s Annex. A quiet little cove off Royal street that is barely an echo of it’s famous parent restaurant. Perfect for our little meeting.